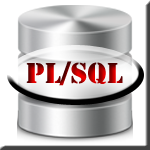 In this post we will see how to declare and initialize variables in PL/SQL block. var_nn is the name of the variable. NOT NULL is an optional specification on the variable which this variable cannot be assigned null value. var_value or DEFAULT value is also an optional specification, where you can initialize a variable with some specific value. NOTE : '/' i.e Back slash after END keyword indicates to execute the above PL/SQL Block.